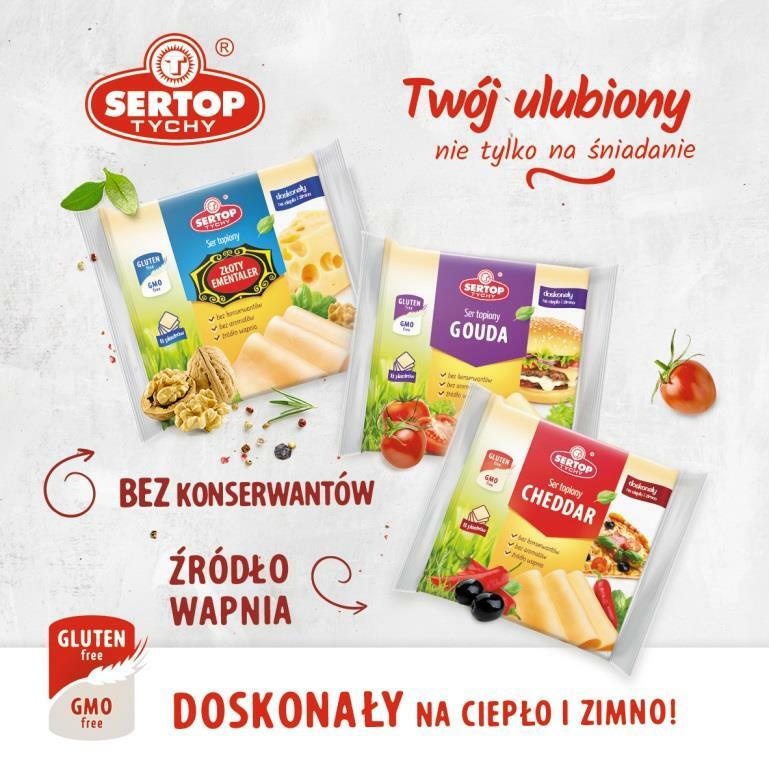 The processed cheese, Gold Emmental, in 130g slices is one of the latest products from the SERTOP company in Tychy, producer of delicious melted and fried cheeses. 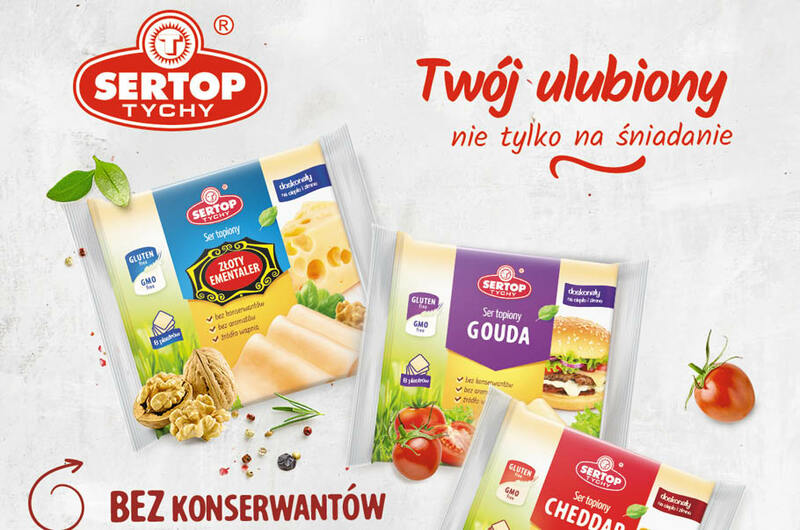 The new cheese line also includes popular flavours such as Gouda and Cheddar. These are high quality products based on carefully selected raw materials. They do not contain preservatives and aromas and are a source of calcium. Each of the open-close packages contain 8 slices individually packed. The melted cheese in slices inspire both traditional cuisine and modern cooking. Perfect served warm as well as cold.